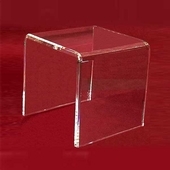 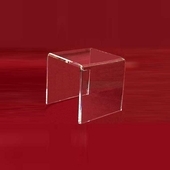 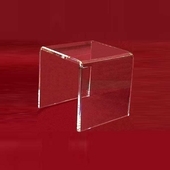 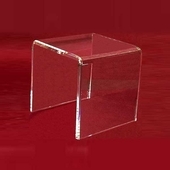 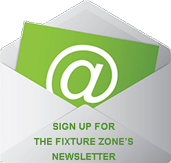 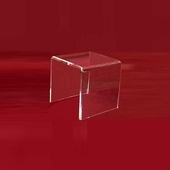 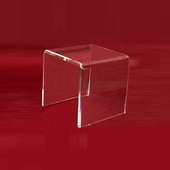 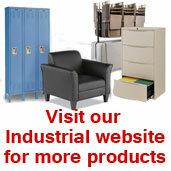 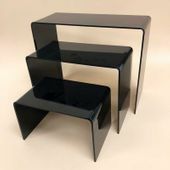 Standard three sided risers are available in five different shapes: square, long, short, tall and narrow. 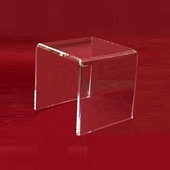 For greater stability and quality look, the larger size of our risers, the thicker the material. 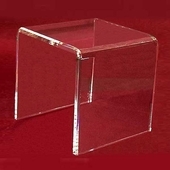 All risers have finely polished edges. 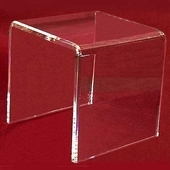 Also in flourescent colors and green "glass look" acrylic.